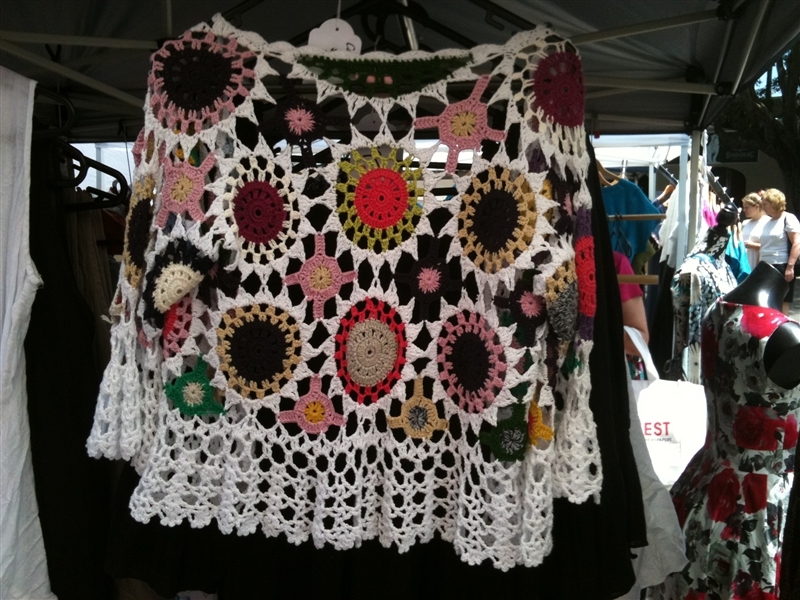 This lovely crochet cardigan was available for sale at a local market. I wanted to take this photo to share because it is beautiful. I wish my crochet skills were up to creating something like this. Does anyone know where I can buy a pattern or pattern book that teachers me how to crochet like this?